I miss running and I miss joining fun runs in the city. Honestly speaking, the last time I went to the gym was I think 4 years ago and I can't remember the last time I exercised. Would running to the office to avoid being late count? I guess not. 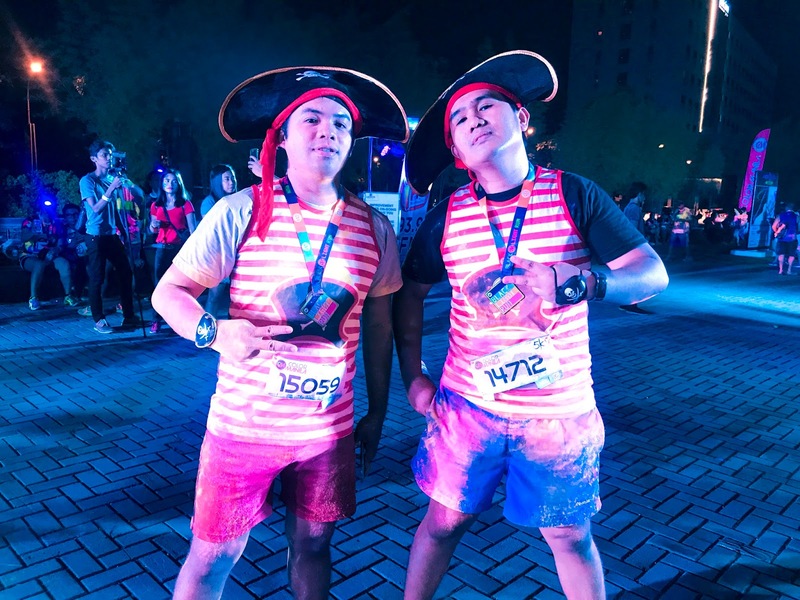 When we got an invite to join Color Manila Blacklight Run I was really excited thinking this is a sign that I need to be proactive in getting back into shape. 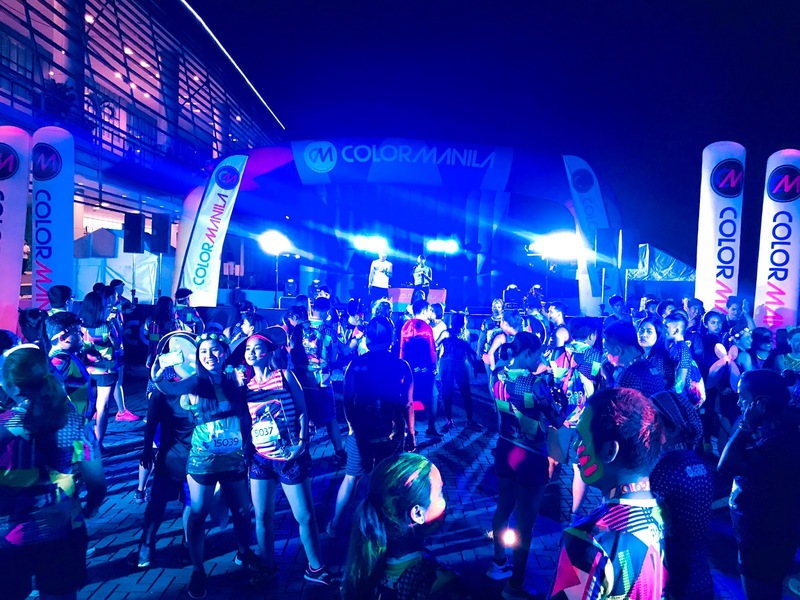 Color Manila Run is not just your ordinary fun run. 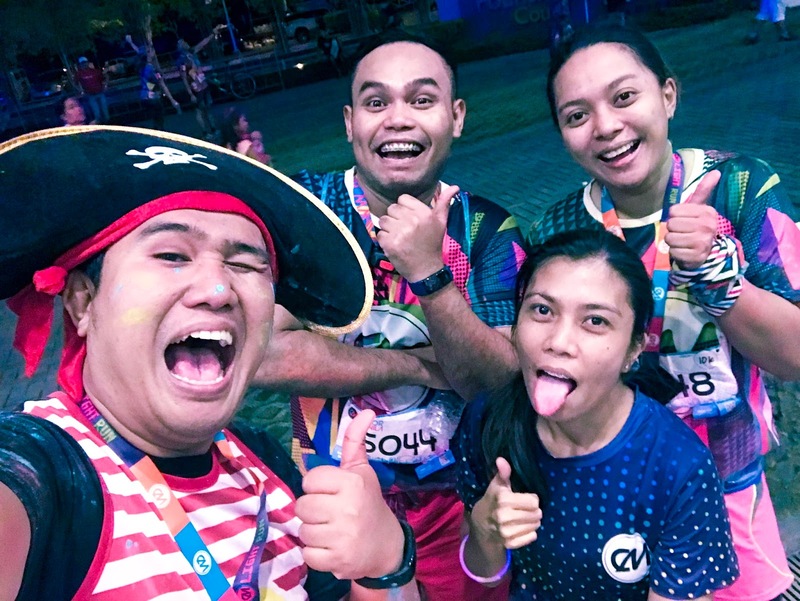 I joined their first leg in Davao last 2015 with my best buddies and we really enjoyed it. It was a morning run from Crocodile Park to Maa Road and back. 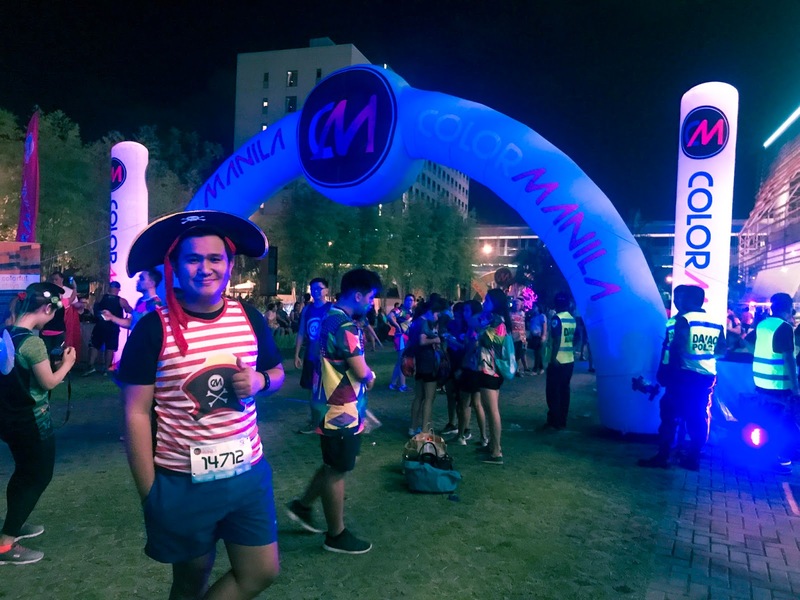 Read my first Color Run Manila here. This year, we ran at night wearing these cool outfits. I got the Pirate singlet, hat, and an eye patch. It's cool to see different designs like the Superhero, Fairy, and a Cheetah costume singlet. Most of us are first timers in running at night. 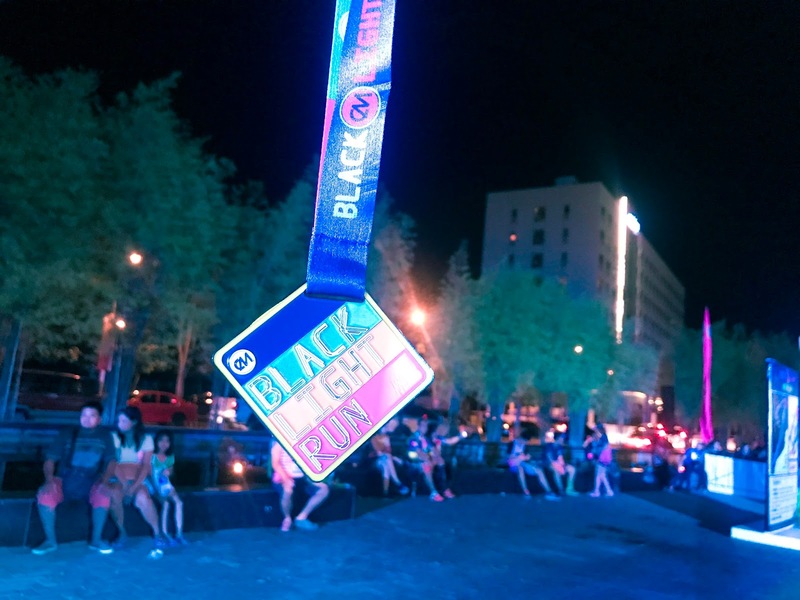 Some runners have headlamps to guide them on the streets. At first, I couldn't decide if I should go for a 5K run. I actually know my limits. I know that if I had a few test runs or daily exercise before the fun run, I can definitely do it. Since I had a very sedentary lifestyle for more than a year, and because most of my friends will only run 3K, I decided to join the 3K run cluster. What a coward, right? Haha! I love the feeling of running and challenging myself if I could really make it to the finish line. I was ahead of my friends even though I walked for a minute or two and that gave me a boost to immediately finish the race. 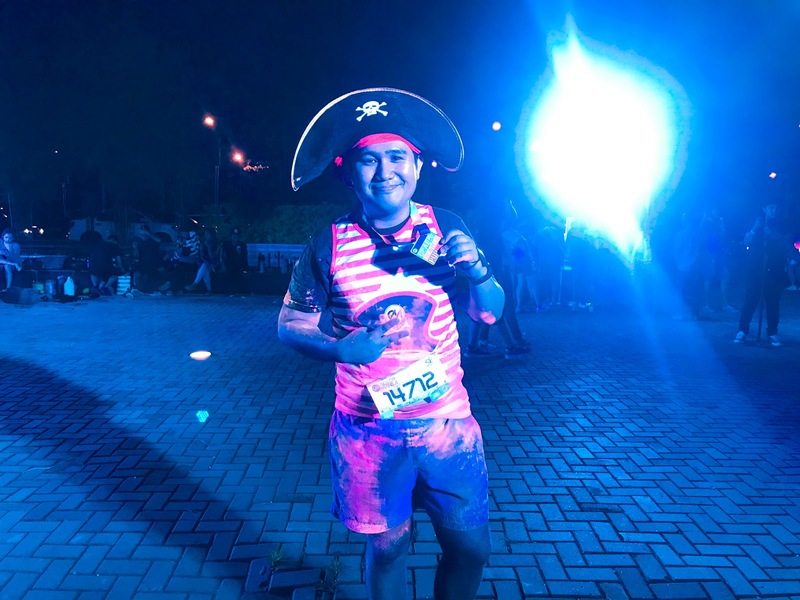 the color powder did not stop me from running, it was actually the fun part. The color powder smells good too. I got this beautifully crafted finisher's medal at the finish line and this one is for keeps. While we're just waiting for the next part of the program, the next thing I remember, we're already on stage dancing and making fun of ourselves! Hahaha! We joined the dance contest and it was one of the MOST EMBARRASSING moments of my life! 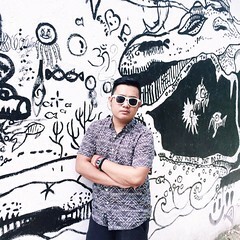 The best part of the event was when we threw all the color powders to the air that made the most colorful cloud at the SM Lanang Premier Fountain Court. 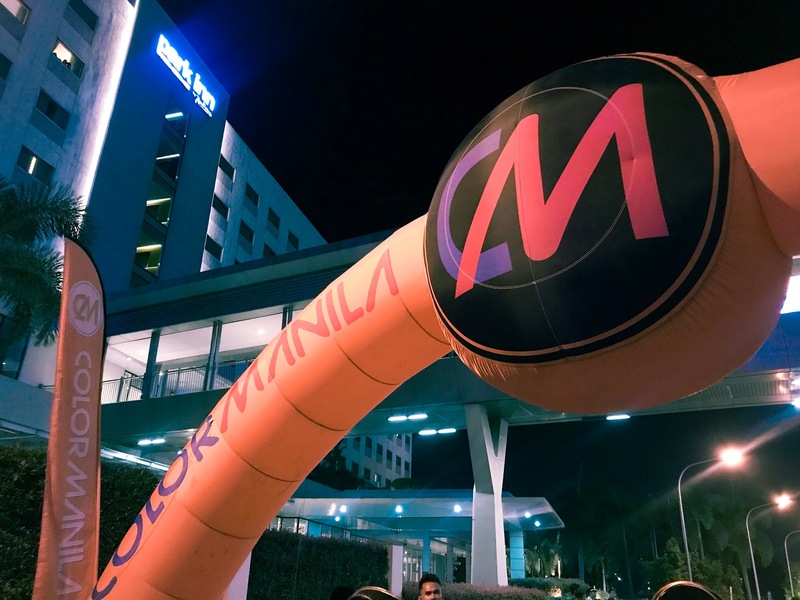 Thank you, Color Manila Run!